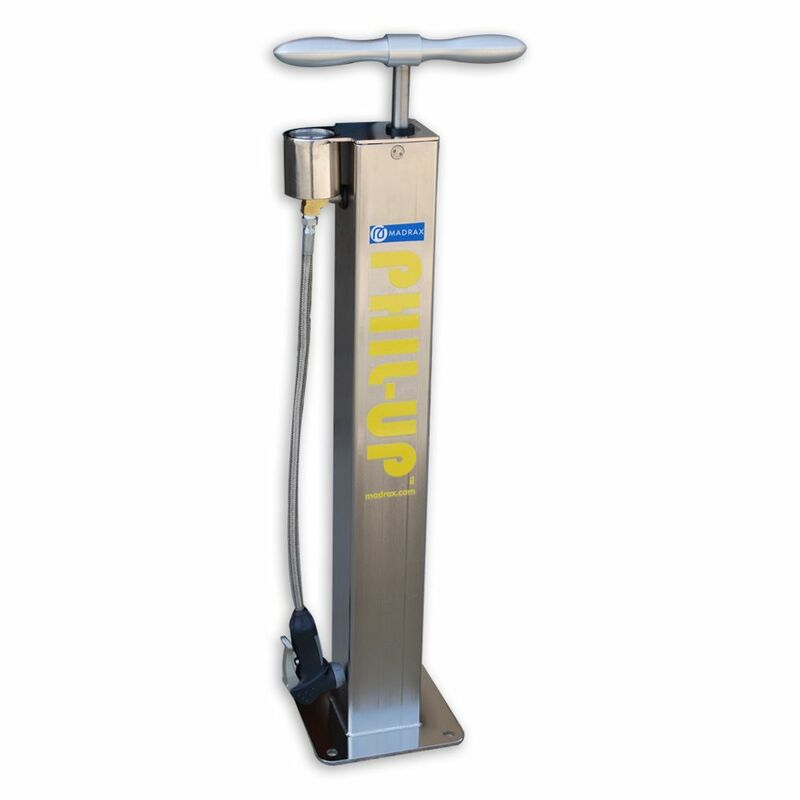 The PHIL-UP™ is 5"H x 12"W x 14" L. Constructed of steel housing with an aluminum handle. 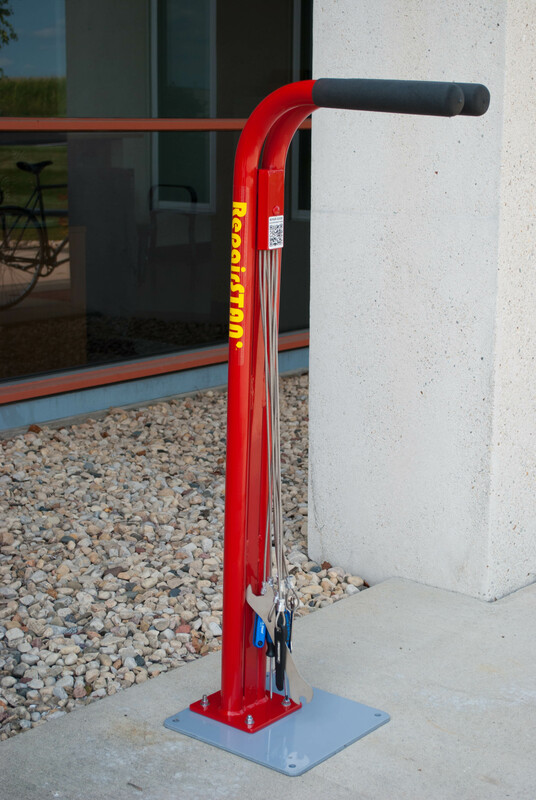 includes manual air pump with Presta and Shrader valve head. Available with or without 160 lb. Pressure Gauge. Weather resistant.